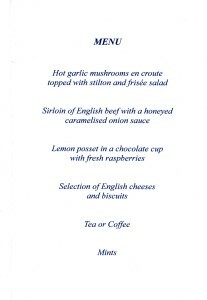 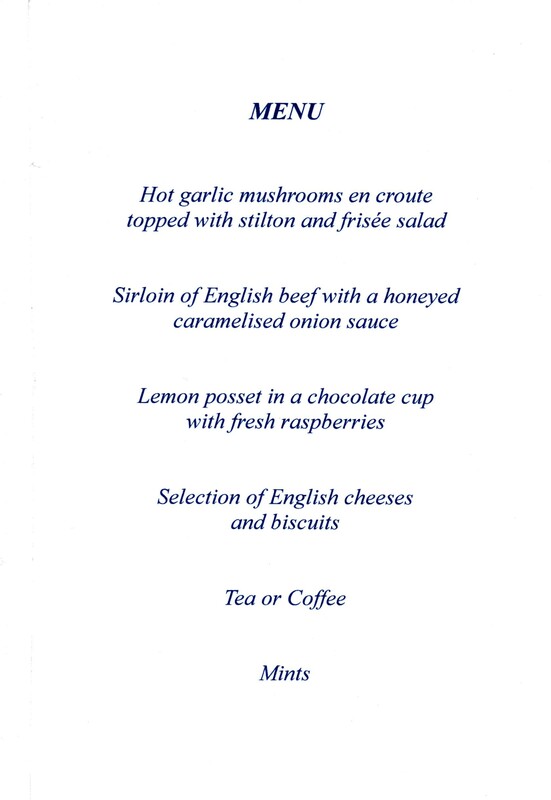 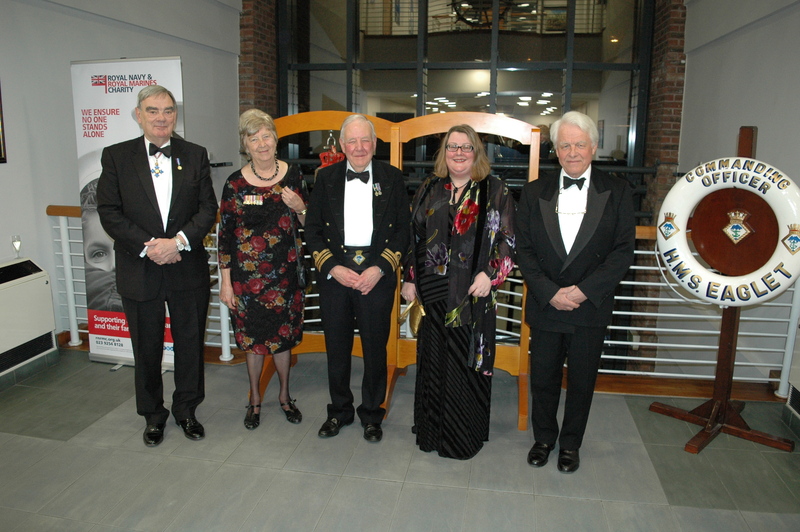 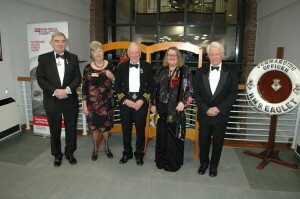 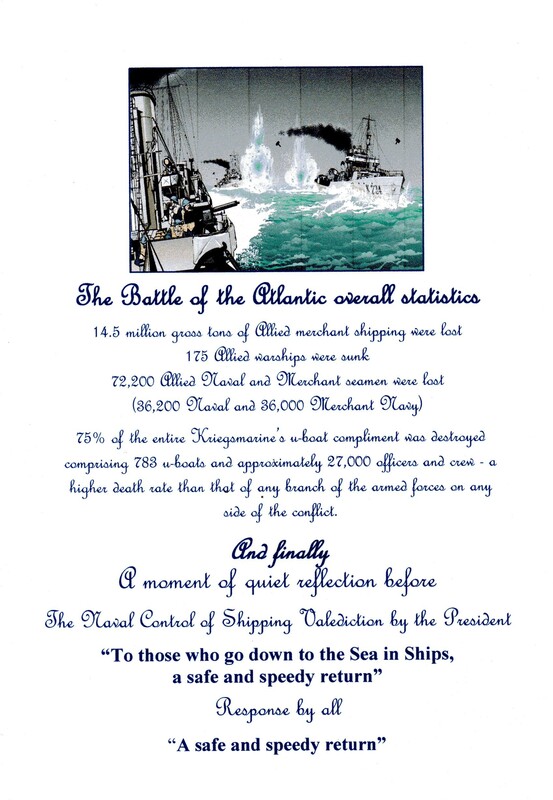 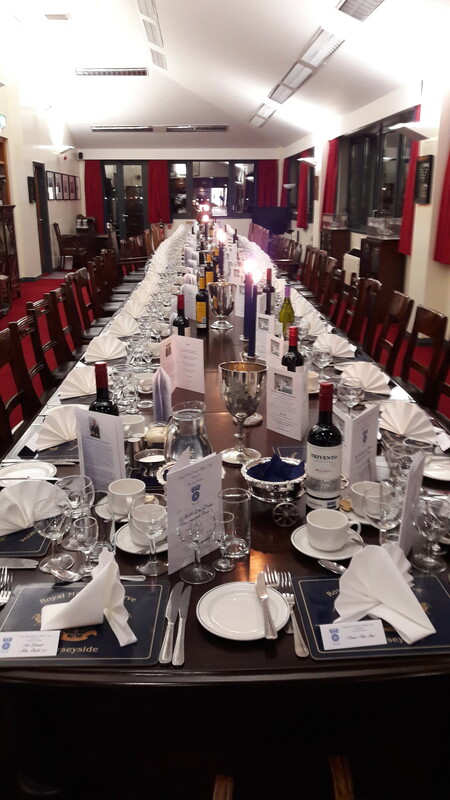 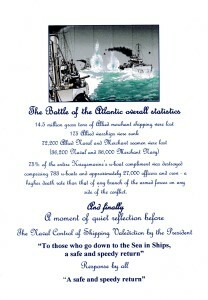 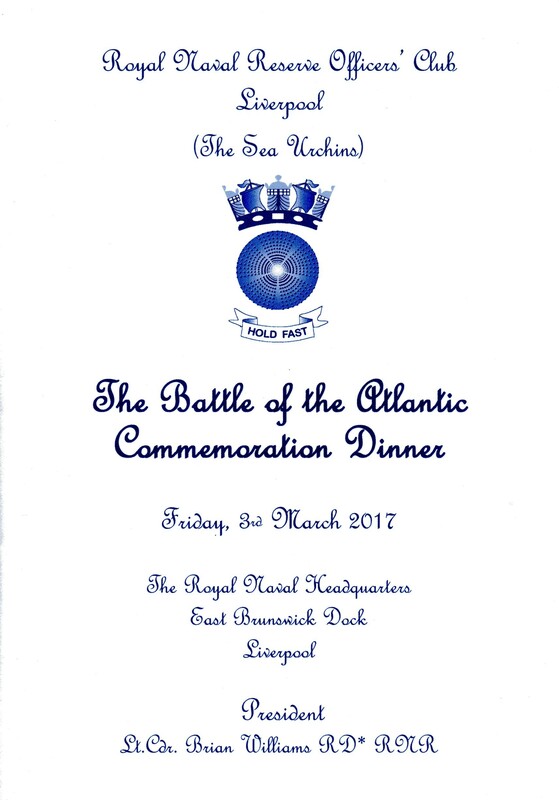 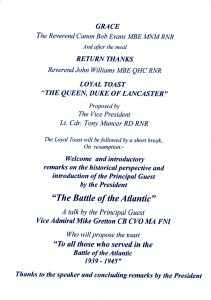 This was the first Battle of the Atlantic Commemoration Dinner at HMS EAGLET since the 70th Anniversary in 2013. 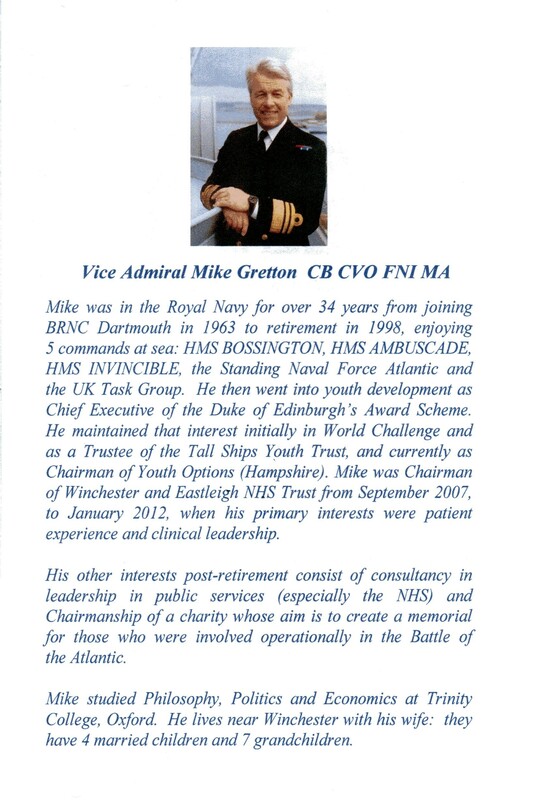 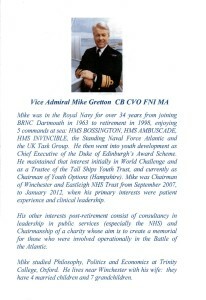 The Committee felt it was the right and proper thing to do to resurrect this event and Vice Admiral Mike Gretton gave a speech about parts of the event including the roles played by his father and that of our Patron, Captain Patrick Walker’s grandfather. 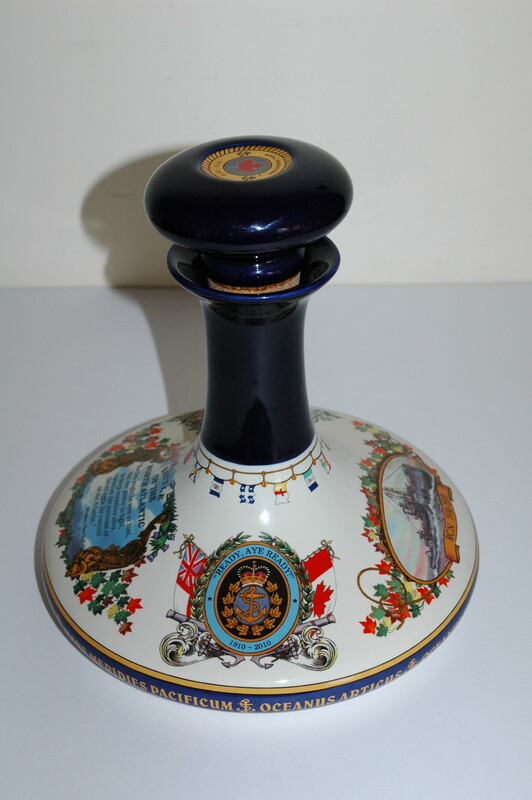 The Club was presented with a Pusser’s Rum Decanter from the owner of the company who had been with Admiral Gretton the previous week. 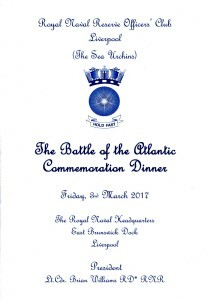 Ms Janet Dugdale, Director of the Mersey Maritime Museum also spoke of the involvement and support of the MMM in the memorial. 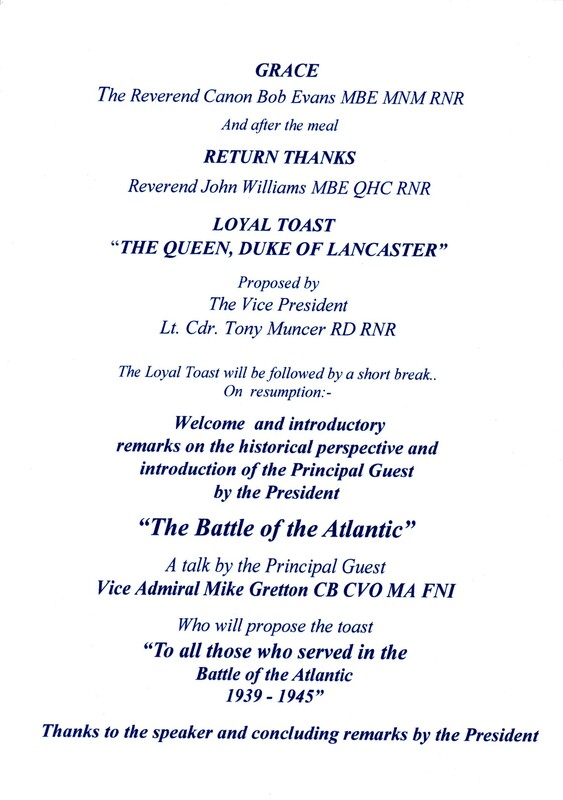 Any member who feels they would like to become involved in the project should contact Mike Gretton or Patrick Walker direct. 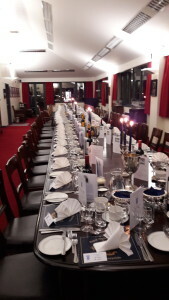 The Mess tables laid up for Dinner.